In this post I thought that I would take you through what led me to wanting to understand more about some of the teleconnections and particularly to learn the basics about angular momentum and that part of the science. I consider myself to be very much in the learners category and I have a very long way to go to be able to write with any real authority on this area of the subject. As many of you, however, are likely to be in the same “learners” boat as me, I hope that some of my simple explanations might help. It may not be entirely accurate and I invite any of the specialists to come on here and correct any of my errors (I hope that there are not too many “howlers”!). I also want to endeavour to demonstrate how a little basic knowledge in this area opens up a whole new avenue of potential understanding of what drives the broader weather patterns. I’m already hooked and I have loads of questions to ask but I will hold back on many of these for a while until this thread really gets going and when (hopefully) there will be a rather larger number of readers wanting to learn more themselves. Please forgive me if I indulge myself by providing a little background to my weather interests - they are partly relevant in the build-up to the main purpose of this post in the next section! Very briefly, I became fascinated in the weather from age 6, during the long hot summer of 1959. I cut out the large weather section page from each edition of my father’s Daily Telegraph (usually after he had finished reading it!). I studied the Atlantic and UK pressure charts and was given various introductory books on the subject for birthday and Christmas presents. At age 8 my father gave me a Stevenson’screen kit and helped me to assemble it (he did most of the work) and those louvres are difficult to paint! With my max/min and other thermometers + a hygrometer, barometer, rain gauge and anemometer I kept twice daily records in Camden in north London. An uncle of mine worked for Redifussion Television (part of the early ITV days) as a producer and director of documentary programmes. He took me to visit their studios in central London and to meet Lawrie West, their forecaster who used magnetic symbols on his south-east regional weather maps a few years before the BBC started to use them. He took me to the Air Ministry in Holborn (precursor to the Met Office in Kingsway) and I saw all the recording instruments they had on the roof (looking back, hardly an ideal representative site except for an urban heat island!). On my 9th birthday, I got the best present that I’ve ever had! Lawrie West was switching over to brand new maps and symbols and he asked my uncle if he thought I might like his old ones. The full UK map had a plastic cover and I could draw weather pressure charts on them (not as well as Lawrie West had always done). The magnetic symbols for the south-east map stuck on much better than the BBC ones did in the ‘60s to ‘80s! I used to provide daily weather forecasts to friends and family (and probably bored them to deaf!). Then we had the 1962-63 winter when I was nearly 10 and I recorded it all (this is not the right place to tell all my accounts and stories of that epic winter). I started subscribing to the Royal Meteorological Society’s monthly magazine “Weather”. I was probably one of their youngest readers. I loved all the weather event articles but really struggled with all those mathematical equations! My very basic all round knowledge got to a modest level but I never really specialised in any part of the subject other than learning about all the UK’s extremes going back to when instruments were first used (see my “history of meteorology” post – the second post on this thread). I focused on all the surface pressure charts and looked at archived records of these going back for 100 years – the beautiful hand-drawn ones (not the excellent NECP Re-Analysis model charts which came very much later on). After college (I qualified as a Town Planner), I moved to Hertfordshire and had friends who lived at the bottom of the Rickmansworth frost hollow. One morning I heard Philip Eden talking about the famous hollow on LBC radio and the records that were kept by Eric Hawkes (the first Honorary Meteorologist) in the 1930’s and early ‘40s. I rang LBC and was put straight through to Philip. He wanted to visit the site. Within weeks we had set up a Stevenson’s screen there in my friend’s back garden! Philip and I spent many hours in the early 1990s driving around and researching frost hollows all around the Chilterns usually in the late evenings or small hours of the mornings (before he started his LBC shifts). I moved down to Exmouth three years ago and had already lost touch with Philip, who hadn’t responded to my emails for a while. Sadly, I learnt why quite recently, as Philip was suffering from an invasive form of dementia which forced him to give up work well before his intended retirement. I learnt a lot from Philip but I had never really ventured beyond my basic grounding. Back in my secondary school days Physical Geography had been my favourite subject and, I imagine like many of you, I first learnt about global circulation there. I was only okay at maths and useless at Physics, so a career in meteorology was never a realistic possibility. Over the years I started to appreciate that the atmosphere was three dimensional and I became fascinated by the Jet Stream. I learnt bits and pieces about the El Nino Southern Oscillation (ENSO) and a limited amount on stratospheric weather (I have read some of the excellent articles on the strat thread but I’ve never posted there myself). I have also had a long interest in glaciation and was fascinated in polar weather and particularly in Arctic sea ice and the rising temperatures there. I began to realise that there was a lot more that I needed to learn. About ten years ago, I started to read a greater variety of papers and this was when I really started questioning some of the basics that I had been brought up on. Four years ago, I started to look at the NetWeather Forum but I only registered two years ago and my fist post followed shortly afterwards. I read and learnt from some of the really informative posts and was particularly impressed with Tamara’s posts. We started to PM each other but it was only last Spring and more particularly this Autumn/Winter that I started asking questions about angular momentum. Tamara has very patiently taken me through the basics and at my age, it does take much more of an effort for new concepts to sink in. I’ve also been learning a bit more about the stratosphere as well as some of the other teleconnections. I have tried to introduce some of this new found knowledge into some of my long posts on the model thread. Even though I am fully aware of my real limitations, writing about a subject does help to focus the mind. Although I enjoy all forms of weather throughout the year, I have always been a self-confessed coldie. With my slightly increased knowledge, I have made a real effort to add much more balance into my posts. It is a case of being responsible and not just managing one’s own expectations but also for many of the readers too. I feel that right now, I have replaced my hunger for chasing cold with a more inquisitive overview of what are the processes behind it all and where can further advancements in meteorology take us. From what I have learnt from Tamara and all the papers that I have read, I realised that there is actually “some” sort of order to all this apparent chaos. Rather than just accepting the role the jet stream plays in influencing some of our weather patterns, I started to ask, well what controls the jet stream and how do other processes interact? The most important of all matters that I started to appreciate was that increasing the understanding of how these background signals influence the broader weather patterns is the real way forward in modern advancements in meteorology. I covered some of this briefly in my introductory post to this thread and again towards the end of my history post (the second one on this thread). I feel that is this where some of the great confusion occurs - wrongly assuming that the background signals can produce an accurate near micro scale weather forecast. As you will see below, they are really useful in providing a general understanding of broader scale pattern changes over a period of a few weeks and even into seasons. It is easy to look at the model output and assume that they somehow conjure up a range of outcomes in the “extended period” which seem to be wrong just as often as it is right or that they can lurch from one solution to another. It is easy to criticise any particular model run when it suddenly drops a signal for a specific type of weather pattern (especially for the many coldies and snow hunters when a potentially colder pattern had been indicated). The models will give an idea of what to expect and as we move through the more reliable period then the detail can be nailed down on a more micro level with far greater accuracy. All too often, output beyond say week 1, is dismissed as FI and hardly likely to verify. Both shorter and longer term output have their uses. The short term to provide a usually pretty accurate idea of what to expect closer to home. The longer term output should be used to understand that a range of outcomes is possible. I look for the broader pattern changes, for the first sign of a new solution being sniffed out, at the trends, the consistency over a few runs and between different models. The numerical weather prediction (NWP) was devised as a way to use mathematical models to calculate all the possible outcomes based on changes in the atmosphere and the oceans. Very small variations in the input data can lead to significant variations in the output solutions. Then the big question, what is behind all the model output and just what do they (or can they) take account of. This is the various background signals which influence the atmosphere. If there are changes in these then the models will sooner or later start to factor in these changes. It is questionable to what extent some of these signals are used as part of the input data (this is a subject that we could examine much more closely on this thread, providing some of the evidence is published and accessible) and this will vary between the different models. It is by understanding what these background signals are and how they might impact on the broader weather patterns, that can give us an early indication of how the model output might change going forward. It is these signals that drive the model output not the other way around. I shall come back to these points towards the end of this post. So then another series of questions are raised. What are the background signals, how do they interact with each other, which ones assist or interfere with any of the others and which are the more (or most) dominant ones. Background signals are really another name for the relative influence of each of the teleconnections and I provided a pretty comprehensive list of these in my introductory post to this thread. I will focus on a small group of those which are considered to be the main drivers. It is a good deal more complex than this but let’s keep it relatively simple (for my own sake as much as anyone else’s!). The next few paragraphs are partly based upon what I learnt directly from Tamara and partly supplemented by searching for various definitions and further explanations. Basically, tropical convection and thunderstorm activity does not just produce rising air but it generates what is known as tropical forcing. Tropical surface temperatures with rising, warming and expanding air impacts on the upper troposphere not only in the tropics but also much further afield throughout the middle and the high latitudes. The extent of tropical forcing dictates global weather patterns (in both hemispheres) and is related to the amount of tropical thunderstorm activity. These expansive convection zones create wind flows ahead of the thunderstorm cells. These wind flows and forcing then generate planetary wave patterns in the atmosphere and in the oceans. These are known as “Rossby Waves” after Carl Rossby who discovered them in 1939. The waves are influenced by the Coriolis force and the pressure gradient which vary with latitude. The shorter waves mostly have an eastward group velocity and longer waves mostly have a westward group velocity. The Coriolis force moves fluids (and air flows) with poleward movements deviating to the east and equatorward movements deviating to the west. Rossby waves in the Earth's atmosphere are easy to observe as (usually 4-6) large-scale meanders of the jet stream. When these deviations become very pronounced, masses of cold or warm air detach and become low-strength anticyclones and cyclones and impact on daily weather patterns in the mid-latitudes. The action of Rossby waves partially explains why eastern continental edges, such as the north-east USA and eastern Canada are colder than western Europe at the same latitudes. Deep convection to the troposphere is enhanced over very warm sea surfaces in the tropics, such as during El Niño events (we are currently under a La Nina event - see later). This tropical forcing generates atmospheric Rossby waves that have a poleward and eastward migration. At this stage of my learning (and I suggest anyone else at this early learning stage) it might be best to accept the basic concepts in order to understand the overall processes. Then much later on, one can go back over the detail and ask further questions (otherwise, it’ll be too much to take in all at once and I’m certainly not the right person to go much beyond this anyway!). This and the next two charts (below) all come from the WDT site. There is often a problem with obtaining updated data. There is meant to be a maximum of a two day time lag and the charts should update daily at 1435 (GMT) but I can see why our specialists are so frustrated with the one week old data! Anyone can registered on their site to get free access to these charts. They are a commercial operation and have a subscription service to other parts of their site. If anyone can get access to much more up-to-date (or even current) charts, any of us would be delighted to receive the chart(s) by way of a PM or, better still, by posting it (or them) directly onto this thread. Just be sure that you have the author's permission to do so. There is a real lack of useful data out there on this vitally important teleconnection. I still have a lot to learn about these charts, particularly interpreting the coloured blobs which I think indicate areas of lower and higher AAM at different latitudes . This chart shows the global AAM anomaly. The lower part shows that AAM tendency was only briefly positive in early December and has trended strongly negative since then (more on this later). REQUEST: Please can one of our specialists post all these charts (perhaps individually over a few days, as time allows) with annotations so that all our readers and learners like me, can really understand them. A consequence of a positive FT can lead to positive Mountain Torque (MT). Mountain Torque is a function of pressure and orography and is the turning force exerted by the difference in pressure across any raised surface on the earth such as mountains or mountain chains. For example, where a mountain has high pressure on the west side and low pressure on the east, the pressure system will exert an eastward torque that causes the earth to increase its rate of rotation, forcing angular momentum from the atmosphere to the earth and increasing momentum at the surface. On the other hand, where a mountain has high pressure on the east side and low pressure on the west, the pressure system will exert a westward torque that causes the earth’s rotation to slow down, reducing momentum at the surface and releasing it to the atmosphere. The Himalayas (East Asian Mountain Torque - EAMT) and The Rockies (North American Mountain Torque - NAMT) are two big contributors to MT activity. The lower part of the chart below shows the MT in respect of North America, South America, East Asia, the Tropics and Globally (depicted in the five colours). I believe that the more positive "Global" value has eased back down again but this may be inaccurate and I need some more assistance here please! Angular momentum is transferred on a large range of timescales from daily through to annual and there are various other (less significant) torques. The FT and MT AAM transfers generally occur over shorter time scales (days and weeks). One of the longer timescales is associated with changes to the El Nino Southern Oscillation (ENSO). This is a quasi-periodic climate pattern that occurs in the Pacific Ocean, on average every 4 to 6 years and is associated with the strength and the west to east flow of the Jet Stream (in conjunction with some of the other background signals being discussed in this post). The link between AAM tendency and different phases of the ENSO cycle (El Nino, La Nina and neutral conditions) has been the subject of many papers in recent years. Several of these have already appeared on this thread and I’m sure that many more will follow. Perhaps this relationship is the most important of all and is likely to be the focus of some fascinating discussions and debates on this thread. The chart below shows the colder (blue colours) currents in the eastern Pacific under La Nina conditions with these pushing westwards with the higher Sea Surface Temperatures (SSTs - orange and red colours) in the central Pacific and, particularly, the western Pacific. 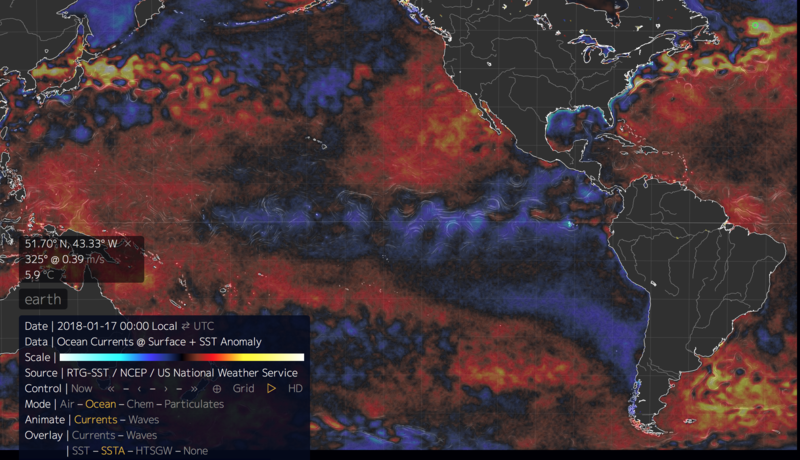 The next chart shows the SSTs anomalies across four regions of the tropical Pacific during the last 12 months. The chart below is a schematic diagram of the La Nina ENSO phase. The "Walker Circulation" (please refer to my entry on Gilbert Walker in my history post - the second post on this thread) is seen at the surface as easterly trade winds which move water and air westwards. The western side of the equatorial Pacific is typically warm and wet with frequent thunderstorms and a very active typhoon season.The ocean is about 60 cm higher in the west due to this motion! The water and air are returned to the east are but much cooler and drier. During an El Nino phase the cycle breaks down which results in warmer water and moist air in the eastern Pacific. Angular momentum transfer variations can occur on a more seasonal basis due to changes in tropical convection. A major one of these is the Madden Julian Oscillation (MJO). This is a pattern of coupling between atmospheric circulation and convection around the Indian Ocean that occurs every 30-60 days. 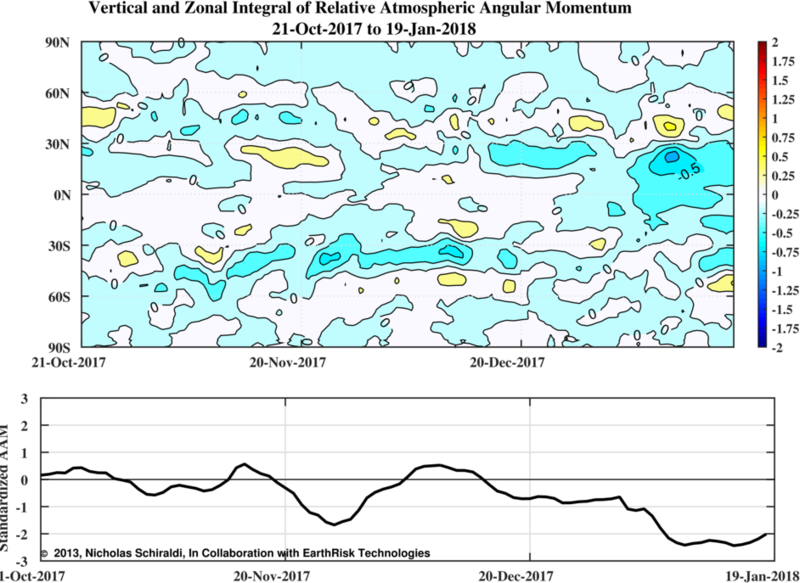 There are many papers of the link between the MJO and AAM and some of these are already appearing on this thread and there have several excellent posts already on this part of the subject..
From what I now understand, the east Pacific based La Nina and the low AAM tendency is likely to have significant impacts on the amplitude of the MJO in its different phases. The chart below shows that the MJO is currently in phase 4 at reasonable amplitude. 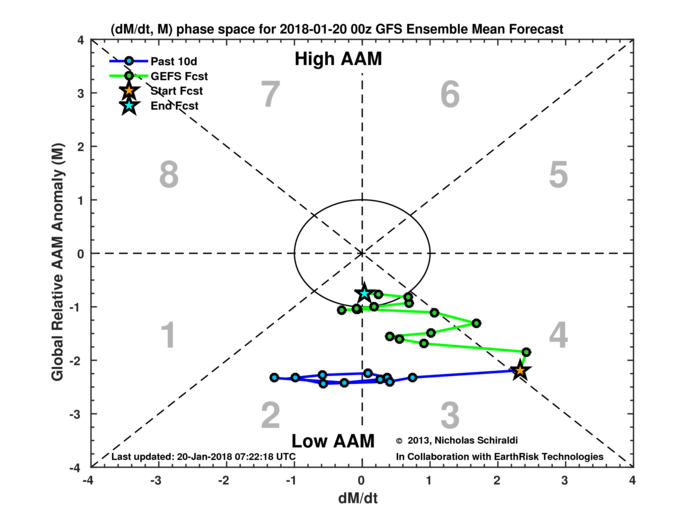 I believe that this is quite typical with the MJO in the "maritime phases" with the Nina easterlies and low AAM. This is a result of the stronger trade winds which occur under La Nina conditions. It looks like low AAM will be maintained for at least a while longer and if this continues until early February and the Nina state is also unchanged, then the MJO will likely be very suppressed just as it reaches the phases 7, 8 and 1. This is exactly what happened when it last reached those phases towards the end of December. The latest forecast chart below is a strong reflection of this panning out in line with current expectations. Things can of course change but this does not look likely right now. We can compare the chart above to the current GWO charts. There was slightly positive AAM tendency throughout October and parts of November and December but for much of December and for all of January, so far, the AAM has been consistently negative. The GWO has been in phases 1 to 3 during the first half of January. The forecast chart shows it moving back into phase 2 for the remainder of January, although there are hints that it might be moving back towards phase 3 around the turn of the month. As you can see in the chart above, we really need to see the GWO progress steadily towards phase 4 and phase 5. Unfortunately, for the reasons that I have stated in the ENSO section above, unless things change quickly, this is unlikely to happen. I'm running out of time now and I want to get this posted this evening. I will produce a follow up post to this one during next week. I haven't mentioned the Quasi Biennial Oscillation (QBO) and there is a lot more to say say about the Jet Stream and how the AAM is a controlling force of that. The AAM also has an influence on the stratosphere and I will read up on that. so that I can try to make some sense of that too. The anomalously high sea surface temperatures will need to be considered and there are some other links to AAM transfers too. So plenty more to go through. I just want to close with a further huge vote of confidence in our specialists who continue to come in for some extremely unfair criticism. The more that I learn about AAM and the GWO and the other processes, the more I realise that one dismisses the vital importance of understanding the background signals at one's peril. As I said in my introductory post, this is the thread to learn a lot more about these key teleconnections and to appreciate just how important they are. So, everyone is welcome to join us on this journey and to participate in some fascinating discussions and debate. Finally, another big show of gratitude to Tamara for all her assistance in helping me to take my understanding of AAM to a level where I can start to make sense of the basics. I know that I have a lot more to learn but some of the grey matter is beginning to clear! The "Walker Circulation" (please refer to my entry on Gilbert Walker in my history post - the second post on this thread) is seen at the surface as easterly trade winds which move water and air westwards. Regarding the history of this, and completely irrelevant, is a short post I made some years ago. As above in Davids post regarding La Nina conditions and Higher sea surface temperatures, I Thought these GFS depictions of real time data really help visualise whats going on. You can easily see the La Nina state conditions in play forcing the warm waters back towards Australia / Indonesia. 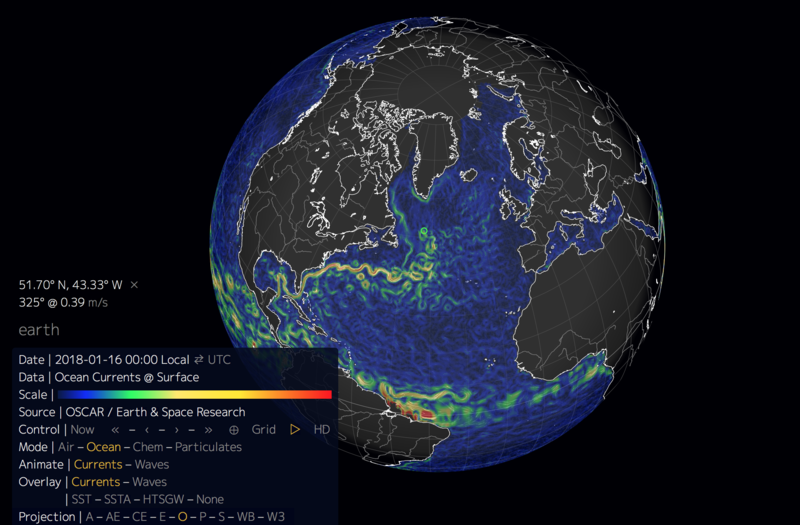 Below are the Sea surface temperature anomaly 3D views, you can easily spot the Gulf Stream meandering from the Florida coast, my understanding is that this typically migrates all the way to the eastern side of Iceland before diving (thermocline) and working its way in a reverse motion. Is it typical to be so far south and east in the Atlantic at this time of year with low Angular momentum? If so the statements in your post above makes sence . "The Coriolis force moves fluids (and air flows) with poleward movements" - "Atmospheric circulation is the large-scale movement of air (in conjunction with ocean currents) is how thermal energy is redistributed on the surface of the Earth"
Another Question which I think I already know the answer to, is the Gulf Stream a true teleconnection and one which hasn't really been covered yet or regularly mentioned on netweather forums or is it simply a result of other teleconnections? Terrific posts above from @Tamara and @Bring Back1962-63. David - may I agree that step 1 for us learners is to get to grip with what each teleconnection is and what is the impact on broader weather patterns (e.g. the MJO). Then as you say, step 2 is to move on to "how do they interact with each other, which ones assist or interfere with any of the others and which are the more (or most) dominant ones." You give a good example - La Nina impacting the amplitude of the MJO this winter. So this second step is obviously more complicated, but fascinating. The positive phase of the PNA pattern is associated with above-average temperatures over western Canada and the extreme western United States, and below-average temperatures across the south-central and southeastern U.S. But then further down the page it states that the positive phase of PNA is associated with El Nino?? I thought we've been in a La Nina this winter?? The positive phase of the PNA pattern tends to be associated with Pacific warm episodes (El Ni�o), and the negative phase tends to be associated with Pacific cold episodes (La Ni�a). Right, I'm off to carry on reading through the GDSM paper provided by Tamara - but I'm finding I have to constantly stop and dive off to swot up on something it refers to! But great learning! P.S. What a shame NOAA haven't replace the two retired scientists responsible for advancing understanding in this area. And sadly no more charts from NOAA. Apologies - I dropped a clanger this morning when tweeking my old annotated Strat Chart posted above. The area of westerly winds at 300 hPa 30N is the subtropical jet, not the trade winds!! My thanks to @Interitus for popping me a pm to kindly point this out. A very good needed thread this David. I’ll just watch from afar I don’t have any expertise but I’m eager to learn got some good starting points! Look forward to insightful mind-numbing future contributions. Just to prove that I'm capable of producing shorter posts, here's one (well, by my standards it is!). Just a couple of other matters to cover first. Thank you for your kind comments (@Blessed Weather). Malcolm. Re: your correction following that post - I find that one of the best ways to learn is by making a few mistakes along the way. Providing one is corrected in a polite and respectful manner, this can only lead to a positive outcome. I hope that some of the "silent readers" will feel confident enough to post on here and ask questions as well as getting involved in any debates and discussions - again another great way to learn. Unlike as we often see on the model thread, you should always be treated kindly over here. Almost all of us are learners, including the specialists in certain other areas of this vast science which has not been their main focus..On this subject, a big welcome to @Daniel* - please do feel free to participate. Malcolm, I often read some of the NOAA statements too and I know that @nick sussex (or a dark blue "N" now that NetWeather show the first name initial for those that do not provide a profile photograph - they'll quickly run out of background colours!) often posts some of their very useful reports on the MOD - always good to have some updated guidance from well respected sources. As you (Malcolm) now realise, it's so frustrating not being able to get the most up-to-date charts and plots on the latest direction of the atmospheric angular momentum tendency. The WDT site (referenced with a link in my last post) has updated several of their charts today up to January 16th (so a 4 to 5 day jump since yesterday) but most of the charts are still stuck on January 11th. There are some very marginal changes to the downward trend but far too little and far too early to get any coldies' hopes up. We'll need to exercise patience over this. Yesterday, I posted a GWO forecast chart in my long post. It was up to January 18th. This morning it automatically updated itself to show January 19th which was a little different. It made my comments about that chart slightly inaccurate. I try to copy all the charts across in the same way which is: "save image in a new tab", then click on said tab, then "copy image address" and paste to my post in the pre-submit mode. On some sites like Meteoceil this generally works perfectly but on some sites (eg: these GWO charts and many of the NOAA charts) seem to have a life of their own and update automatically every day. I'm explaining this in detail in the hope that any computer buff or anyone else who's mastered these copying techniques can tell me if there's a better "fool-proof" approach to doing this. I'll try several ways now to see if it produces any better results - so please bear with me during this experiment!. Sorry for the duplications - it drove me half crazy too! Will any method work differently? We'll see tomorrow. Having got everyone suffering from a GWO overdose, I had better jolly well make a sensible comment on the changes. Yesterday the chart showed the AAM ending back well into phase 2. Today we see that it barely makes it back to phase 2 and mostly remains in phase 3. The AAM tendency is still negative but less strongly than recently. it is heading towards the centre which on these charts means the area where there is a weak GWO with no or little signal (no global position) - not that different to the "Circle of Death" on an MJO plot. Where the AAm goes from there is still very uncertain. Please refer to my post for the annotated GWO chart as well as to comments in several earlier posts (like from @Snowy Hibbo who helped me with this bit - thank you).  The enhanced convective phase of the MJO has moved over the Maritime Continent through the last week.  Dynamical models show eastward propagation of the MJO signal, with enhanced convection over the Maritime Continent for Week-1 and expanding over parts of the western Pacific for Week-2. Dynamical and statistical tools forecast a rapid decay in the signal during Week-1 and Week-2, with the signal rebounding at the end of Week-2. This is likely due to expected Rossby wave activity over the Pacific.  Based on dynamical and statistical model guidance, the suppressed envelope of the MJO is likely to continue to constructively interfere with the base state of La Niña. Enhanced convection is expected over the Maritime Continent, as well as parts of the western Pacific for Week-2.  An active MJO over the Maritime Continent in boreal winter yields a fairly strong teleconnection response in the Northern Hemisphere, though significance for parts of the continental US are low. Typical lagged extratropical circulation responses favor a period of persistent ridging building over the lower-48, especially over the eastern seaboard. 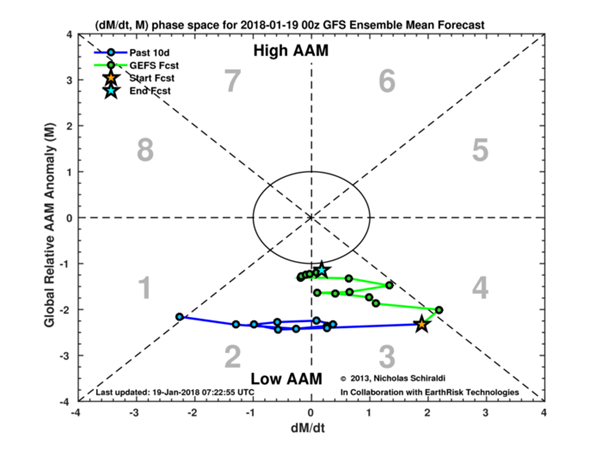 The slight overnight change is that the MJO is now forecast to reach phase 6 by day 15. It still looks set to lose amplification with many members showing it moving close to or into the "Circle of Death" or an inactivity period just when it might reach the phases 7, 8 and 1 (which favour HLB). The reasons for this have been stated by several posters on here and also in the NOAA statement. The La Nina induced easterlies may prevent any higher amplification (or increased activity) when it enters the western Pacific phases. I'm still learning about this fascinating relationship and I'll read up on it more (several useful links have been posts on this thread already). That's enough messing around from me. I'm sorry that part of my presentation has been compromised - normal will be resumed soon (I hope!)..  Hi David - one way of by-passing the problem of chart links that 'auto update' every day is to save a permanent copy of the image to a folder in your laptop and then use the 'choose files' option when drafting your post (which allows you to browse your laptop and pick the file) to add it into your post. So when you're on a website looking at the relevant image, just right-click on it and 'save as' to whatever file name you fancy. While I'm on here this evening, may I ask if someone in the know could make a quick comment on the implications of the 'stronger atmospheric response to La Nina' that Michael Ventrice talks about today? Many thanks. As you can see, the latest GWO chart shows the AAM tendency continuing to rise very slowly but it is still forecast to be negative at day 15. The GWO is between phases 2 and 3 but is very weak with little or no signal. I will NOT post these charts every day unless there are significant changes to report. I just wanted to ensure that the correct charts are showing in relation to my long post further up this page. I hope for the sake of everyone that this is a successful end o my chart copying experiment. This confirms that the AAM remains negative but is flat lining with just a hint of an uptick right now. As I said before, we will need other conditions to change to see AAM trending positive which may not be for quite a while but one to keep a close eye on. My apologies that this is not a contribution to the thread, but may I say this is a really excellent part of Netweather, and is so helpful to those of us who have been piecing together in our minds the background signals/teleconnections learning so ably posted by GP, Tamara and Bringback1962-3 (to name but a few) over the years. It is also a great gathering place, from my observation, for those of us with an interest and who need a focal point of information without having to wade through the MOD. So thank you very much; my pen and A4 piece of paper are twitching as I feel the need to start writing things down and putting arrows between it all! I was wondering, have there been any past winters, where there has been a La Nina, let's say moderate strength or below, and there has been a 'proper' cold spell in later winter i.e. from around this date onwards? If anybody wants to research, there's an extended record of ENSO here. Just off the top of my head, there seems to have been a very strong Nina episode during one of the coldest European winters of the last century .... 1917. PS .... seeing it in graphical format shows a big step change after the strong one in the mid 70's. What caused that might help explain why weather patterns seem to have shifted since then. Thx for the replies, yes I remember cold and lots of snow in Feb 1996. Also I think there are a few others such as 1956, 1985. I have been talking to Tamara on here, and she says that most of the winters that had a La Nina designated, and featured significant UK cold weather, had some kind of atypical La Nina circulation going on, of course every La Nina is different. She says that 95-96 and 55-56 are in this category. Thanks Knocker - the historian in me was suitably intrigued! One area for discussion I'd like to float is the oceanic-atmospheric coupling that we see occur and discusssed. I know what it looks like, and I know what it looks like when coupling is destructively interfered with - but can anyone begin to explain to me what affects the strength of the coupling? The GWO is a measurement of global winds that, in essence, are a a reflection of the closeness of the coupling - but I am at a loss to understand why, for example, the coupling this season has been so strong when Nina itself has been comparatively weak. I was very interested early season in the easterly nature of the Nina pattern, and wondered (and read from others more qualified than me) that the warm waters around the maritime continent might serve to overwhelm the Nina signal as convection moved into the pacific. It hasnt happened. So - why has the coupling been so strong... and why, in some years, do we see a-typical responses that can create a pattern like Feb 96 that I see mentioned earlier today? There are a couple of interesting posts over on the strat thread regarding geomagnetism and solar forcing. This is going to be an area of focus for me through the summer as I try and fight my hatred of hot, sunny days with associated burn, sweat and lethargy... but does anyone have a theory worth putting out in public now? The OLR anomaly charts show the difference from normal in the amount of infrared radiation (heat) being emitted to space from any particular location on earth. Here is the chart for 12 December 2016 through 10 January 2017. The blue and red show where there is less radiation than normal leaving the earth, probably due to the radiation being emitted from high cloud tops, this is where I assume that tropical convection had been more frequent than normal. The brown and black areas show where more radiation than normal was leaving the earth, probably due the sky being cloudless and the radiation being emitted from the surface. You could possibly conclude that the chart shows bands of different shading (blue or brown) moving to the right and poleward emanating from the areas of convection. The following chart shows the anomaly in convective rainfall for the same period. The yellow and green colours show where there was more rainfall than normal. I think it matches fairly well with the OLR charts. Here are the 500hpa anomaly charts for the same period. This is perhaps pattern matching rather than science, but for what it’s worth I feel from looking at this particular thirty day period there may well have been a connection between tropical convection and the actual weather patterns. If I recall correctly the MJO was in fairly low amplitude in the Indian ocean/Maritime continent. I find it curious that there was quite a lot of convection in the south Atlantic and a corresponding area of high pressure to the right and poleward, which just happens to be our neck of the woods. Hello David, thank you for your kind reply, suitably encouraged I will have a go at this year. The OLR anomalies for this month show. Even though most of the tropical convection in the Pacific is in similar areas to last year, we can see the cooler water east of the dateline having an effect. In my opinion the basics are the same, with waves heading east and poleward, but perhaps not as clear cut as last year. Intuitively one would think that the most convective activity would take place over the warmest water. 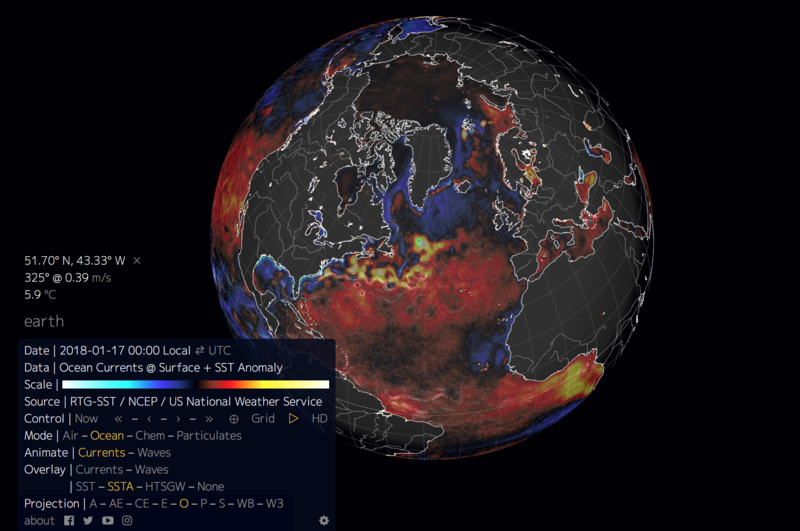 Here are the Sea Surface Temperatures for the period. You could make the case that the precipitation has indeed taken place over the warmest water which is just west of the dateline. The MJO seems to have been pegged to the Maritimes and Indian Ocean, I’m not sure why this has been the case, could it be that once established the outflow from this convection suppresses storm formation further east? The idea of “my thunderstorms are bigger than yours” coupled with the strong trade winds might have been responsible. Much of the documentation that I have seen regarding the MJO has a bias towards the North American continent, and with such a large ocean to the east, rightly so. I would think that any standing wave set up by persistent sea surface temperatures will be modified by any large area of deep tropical convection, and that the nearer to home that convection is the larger the effect. You may have noticed from the precipitation charts that this year there has been enhanced convection in the South Atlantic and the Caribbean. What effect has this had on the weather, below is the 500mb anomaly chart for the same time. There looks to be enhanced subtropical ridges around the globe, perhaps showing what the GWO advertises for low AAM in phase 3? The Azores and Bermuda highs look noticeably pumped up. From a parochial point of view I think that a closer look at what is happening in the tropics of the South Atlantic, Caribbean and possibly tropical South America may help our understanding. Thank you everyone for your posts in this interesting thread about teleconnection science and background signals. If I understand it correctly, the current negative AAM is responsible for the enhancement of the effect of the La Nina (please correct me if I am wrong). I have some remarks on this issue. I performed a quick study of the effect of a La Nina on the winter pattern, since 1950. I considered the 20 strongest La Nina’s, according to the ranking of the NOAA (https://www.esrl.noaa.gov/psd/enso/mei/rank.html), for January and February combined. We see that overall the effect in the Atlantic on the 500 hPa is neutral. 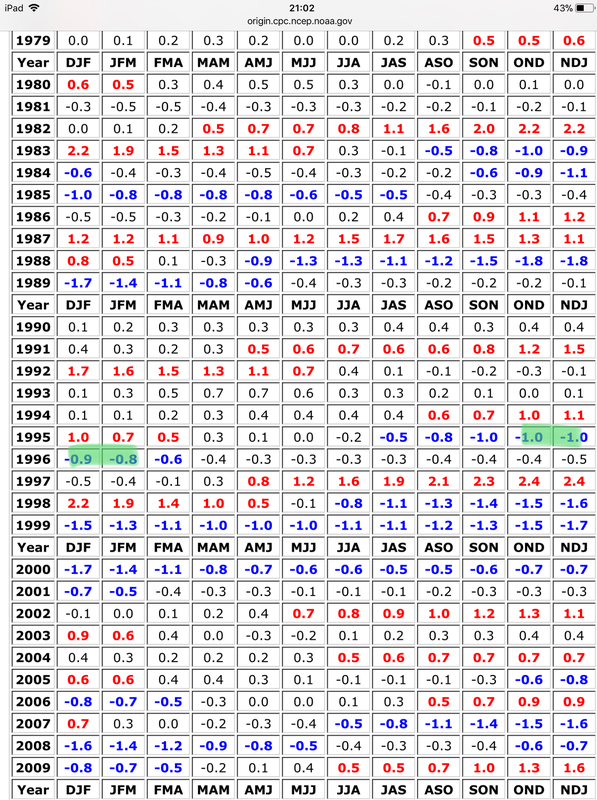 Only very strong La Nina’s show an enhanced zonality (ranking 1-4). December had a ranking 20, in January the La Nina seems to be fading a bit. I have my doubts weather the current AAM (still) is enough to account for the lacking of blocking in the Atlantic and over Greenland, so far. Finallly can anyone show me where to find the NOAA link where I can create composites using daily data, instead of monthly? I would like to check the 500 hPa anomalies for the first weeks of January. Perhaps there are daily records of the ENSO, a possible weakening of the La Nina may be verified.